Whether you're in Seattle or a displaced fan somewhere else in the world, this is YOUR Seattle Seahawks podcast. 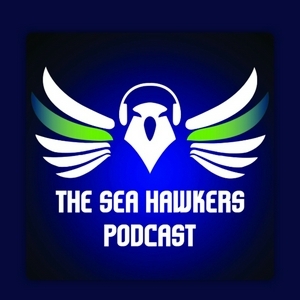 Each week during the season, Adam Emmert and Brandan Schulze bring up relevant Seahawks news as well as topics around the NFL. They have vowed to never fail to mention who is better at life than Skip Bayless. The Seahawks get the 24-13 win over the Cowboys in their Week 3 home opener. With so much talk of Earl Thomas continuing as he sat out a couple days of practice this past week, he showed up big in a game against a team that was the talk of the offseason as a potential destination for him. Thomas picked off Dak Prescott early on in the game and then again in the fourth quarter to essentially seal the victory for Seattle. After all of the offseason talk about running the ball and how Chris Carson would be the lead back, the Seahawks certainly made good on that promise with 32 attempts going to Chris Carson alone as he eclipsed 100 yards. 39 carries in total on the ground as Russell Wilson was 16 of 26 with two touchdown passes and 192 yards through the air. Maybe the show title is missing a question mark. When it comes to a commitment to the run game, it seems like three straight runs to start the game was enough, because Seattle completely moved away with it and had no success through the second and third quarters. The clear lack of a run game was the story of the game as the Seahawks fall to the Bears 24-17. The score didn't dictate any reason to keep the ball off the ground as Seattle was down only 10-3 at halftime thanks to a long field goal by Janikowski. It wasn't until Seattle started moving the ball on the ground in the fourth quarter that the Seahawks started to see some success against the Bears defensive line. Before the start of the fourth quarter, Wilson had dropped back 14 straight times and was sacked a total of six times throughout the game.